Last year the Federal Communications Administration (FCC) voted to rollback the Net Neutrality law passed during the Obama administration. I’ve written about this previously. I think I’m on safe ground when I say that most people would agree that laws designed to keep the Internet on a level playing field make sense given that most US citizens don’t have much if any choice when it comes to Internet access. That’s why states have taken the matter into their own hands. California recently passed its own Net Neutrality law. This is a big deal because Internet providers cannot realistically apply one set of standards to traffic in California and a different set everywhere else. California is big enough that it can effectively influence legislation on a national level. It did this in 1966 when the state established the first tailpipe emissions standards, which resulted in all cars sold throughout the US having catalytic convertors. When California passes a law affecting companies that do business across the United States, it can change how those companies operate in all states. The FCC knows this and promptly filed a law suit against the state of California. The argument from FCC Chairman Ajit Pai is that because the Internet doesn’t recognize boundaries between states, it’s an interstate system and clearly falls under the authority of the FCC. That’s not an unreasonable argument. The Internet is not just interstate, it’s global. However, we do have a precedence when it comes to the Internet and how the law views it when it comes to individual states. Traditionally when you made a purchase from a company in a state other than the one in which you live, no state sales tax was collected. (The exception being when the company from whom you purchased happened to have a presence in your state as well.) But the ubiquity of Internet shopping has reduced sales tax revenue, resulting in several states passing legislation requiring Internet retailers to collect sales tax. While I have sympathy for the state’s loss of revenue, I whole-heartedly disagree that changing the interstate sales tax rules at this point makes no sense at all. The fact is that some individual states have begun requiring some of the big Internet retailers to collect sales tax from customers in their states which means that, from a legislative point of view, the Internet very much does recognize state borders. The federal government didn’t raise a stink when states passed laws requiring the collection of sales tax by Internet retailers. Why would they? The Federal Government doesn’t collect sales tax. However, it would be contradictory to find it acceptable for states to require sales tax collection from Internet retailers but then tell those same states that they can’t regulate access to the Internet itself. The FCC cannot have its cake and eat it too. 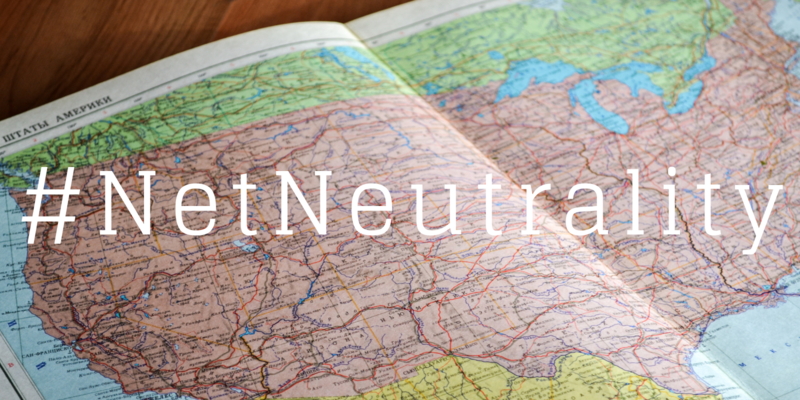 The FCC needs to determine if it will treat the Internet as interstate or not. The Constitution of the United States of America clearly specifies that the only powers the Federal Government has are those outlined and specifically granted by the Constitution itself. The Founding Fathers believed that states should have the majority of the power. The Constitution was not so much designed to grant powers to the Federal Government as to in fact limit the powers of the Federal Government. This is an important distinction. It may be inconvenient for the FCC that the State of California has the right to pass its own Net Neutrality law but there is clear precedence for it. I have said it before but it’s worth repeating: supply and demand in the free market is great at finding the right price except when there’s little or no choice and the product or service is one in which we all absolutely depend. I applaud the state of California for passing their Net Neutrality law. I hope they will not just be victorious in the FCC law suit but will also be the spark the lights a fire of Net Neutrality across the entire United States of America.